I subscribed to Agenda with my Mac address but also want to add my Outlook calender and email. How do I do this? In order for your outlook calendar to show up in Agenda it will also have to show in the Calendar app. 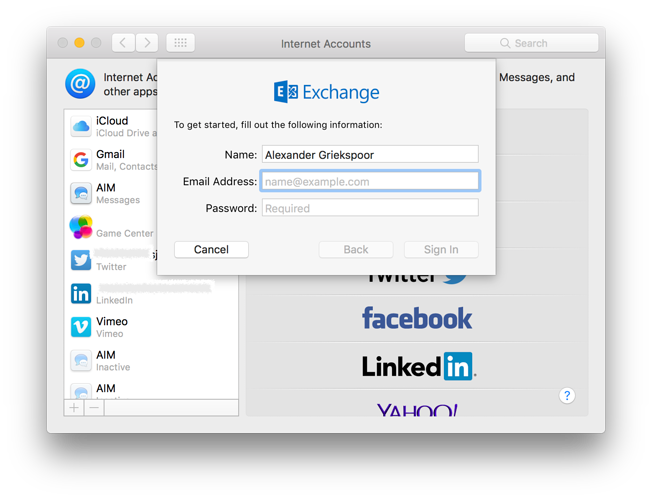 This requires you to configure outlook under the Internet Accounts tab in the System Preferences. Does it work if you go to the Internet Accounts tab in the System Preferences, click on Exchange and follow the suggested steps?